This popular class, taught by internationally recognized countertenor Christopher Fritzsche, focuses on improving individual technique in the context of choral and solo singing. Designed for a range of singers from beginning to experienced levels, each session includes work on foundational as well as advanced technical concepts. The class is limited in size in order to give participants more individual attention. All participants will leave with a new understanding of their own instrument as well as tools and exercises designed specifically for them. This personalized instruction occurs in mini voice lessons that take place in the context of the class. 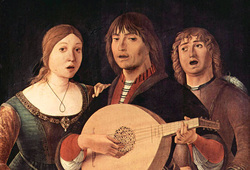 Participants are encouraged to bring questions about vocal technique as well as specific vocal challenges to be worked on and improved in class. Class size is limited to 18. You must register in advance by using the REGISTER NOW! button. You may also send in a check for the appropriate amount and your information to our office. Make checks payable to Sonoma Bach.